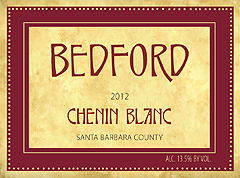 The 2010 Chenin Blanc is a knockout – dry, elegant and perfect for the coming summer months. The 2010 Grenache Special Select is deep, fragrant, luscious. Come by the tasting room and see for yourself! Exquisite. This is Chenin Blanc taken to a whole other level. Sophisticated yet refreshing. The fruit was barrel fermented then aged for an extended time neutral oak. The result? A dry, elegant white with notes of fresh melon and pear ending with a creamy, rich finish. Extremely well balanced. Though sensational with shellfish and seafood, its wonderful acidity makes it well matched with roast pork or turkey. Once a month the merchants on Bell Street in Los Alamos extend their hours and put on the dog for guests and customers. From 5-8 pm, enjoy relaxed shopping along with entertainment, special events, good eats, wine and more! All are welcome and there is no charge. We will be open for wines by the glass. 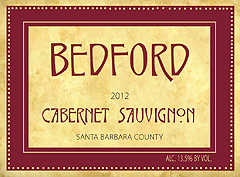 You are currently browsing the Bedford Winery blog archives for April, 2013.